A NOTAM (Notice to Airmen) is issued by the Russian Air Traffic Service for an area in the Norwegian Sea west of Lofoten Islands for the period April 11 to 14. While Norway’s Prime Minister Erna Solberg on Tuesday had her first visit to Russia in five years, meeting President Vladimir Putin at the Arctic Forum in St. Petersburg, the Russian Northern Fleet’s two largest missile cruisers could be preparing for a missile drill outside Northern Norway. “We register that they have established an NOTAM (Notice to Airmen) 100 nautical miles northwest of Lofoten,” says Lt. Col. Ivar Moen, spokesman for the Norwegian Armed Forces’ operational headquarters. “They have their full right to do so as this is international waters and airspace,” he says in a phone conversation with the Barents Observer. This is, however, a new pattern of exercising not seen before by the Russian Northern Fleet. Both during the Cold War and in post-Soviet times, navy drills with live shootings have traditionally taken place in the Barents Sea, north and east of the Kola Peninsula. The NOTAM issued by the main Air Traffic Management Centre of Russia is valid for the period April 11 to 14, from 3 am to 7 pm, the time when it is daylight this period of the year. The warning says danger area is up to 66,000 feet. “Tempo danger area active due Russian Navy rocket test,” the NOTAM reads. A NOTAM is a notice filed by a country’s aviation authority to alert potential hazards along a flight route or at a location that could affect safety of a flight. Passenger aircraft do not overcrowd the skies outside Northern Norway, but periodically flights from Russia and the Middle East to North America are flying through the area for the missile test warning. Lt. Col. Ivar Moen says it is fully a Russian responsibility to ensure safety at sea as well as in the air. Following Moscow’s military intervention in Ukraine in 2014, NATO broke off regular institutional relations with Russia. The operational headquarters of the Norwegian Armed Forces, however, maintains weekly Skype-talks with the Northern Fleet’s commanders in Severomorsk. 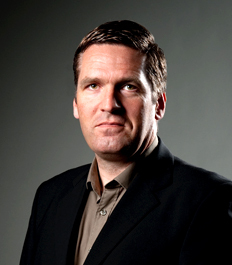 Ivar Moen, though, says the announced missile launch has not been brought up as an issue in the Skype-dialogue. Norwegian newspaper VG was first to report about Russia’s planned missile shooting. In a real-war scenario, a cruise missile from a Russian warship from the area now announced could hit Andøya Air Base within minutes after launch. The base is home to Norway’s fleet of Orion surveillance aircraft, used to detect and monitor Russian submarine activities in the Barents- and Norwegian Seas. 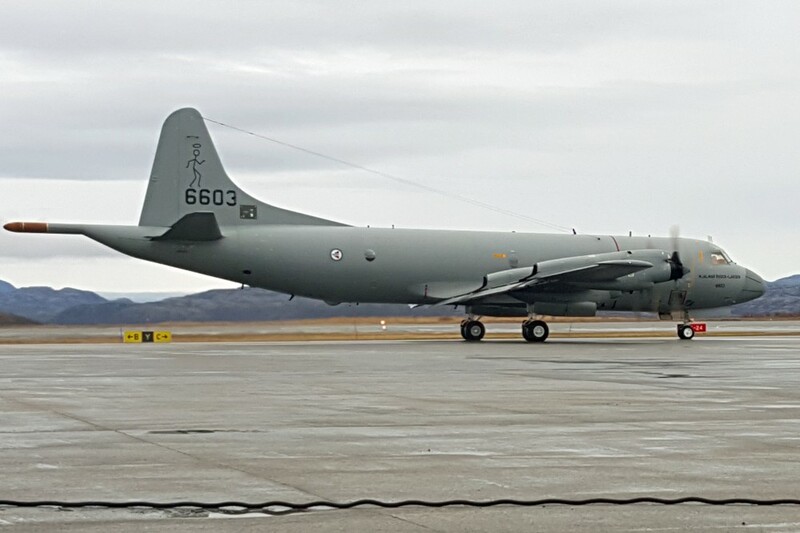 Some few tens of nautical miles further east is Evenes airport, to become home to the new P-8A Poseidon Maritime Patrol Aircraft replacing the Orions by 2022. Evenes will also serve as Norway’s northernmost forward operating base for the new F-35 fighter jets. To the southwest of the missile launch area is Bodø Air Base, today the main home for Norway’s fleet of F-16 fighter jets. Also within range is Bardufoss Air Base in Troms which serves the Norwegian Army and is regularly used by British, American and Dutch militaries for cold climate training, like this winter when British Apache helicopters for the first time operated in the Arctic. 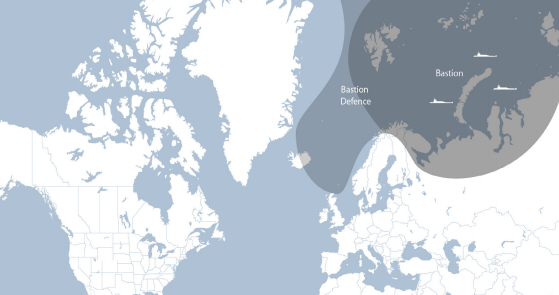 Senior Research Fellow with the Norwegian Defence Research Establishment (FFI), Kristian Åtland says the announced missile lauch may be intended to send a signal to NATO that Russia is capable of expanding its bastion defence beyond the Barents Sea, conducting sea denial operations in the maritime spaces of northwestern Europe, all the way to the Greenland-Iceland-UK (GIUK) gap. “While adhering to international law and conforming to international notification requirements, the Russian Northern Fleet seems to be in the process of expanding its exercise and weapon testing activity in a southwestern direction. The latest NOTAM case falls into this pattern,” Åtland says to the Barents Observer. Russia’s Bastion defense concept. Courtesy of the Norwegian Ministry of Defence. In a potential conflict with NATO, Russia is believed to roll out the bastion defence to establish several layers involving various capabilities to ensure freedom of sailing for the strategic ballistic missile submarines. An important part of such scenario is to prevent NATO forces access in the immediate neighborhood to the naval bases on the Kola Peninsula. “Much like the Russian missile drills announced in the Norwegian- and Barents Seas during last year’s Trident Juncture exercise, the upcoming missile test is probably meant to serve a StratCom (strategic communications) purpose,” Kristian Åtland elaborates. The missile launch announced last November did not happen, as the Russian warship “Marshal Ustinov” just sailed through the area en route from the Baltic to the Barents Sea. Last year’s NOTAM was in an area slightly to the south of this week’s announcement. “Whether or not the announced live-fire drills will take place as planned remains to be seen, but I think the likelihood is high, given the at-sea presence of missile cruisers “Peter the Great” and “Marshal Ustinov”, Kristian Åtland says. The press service of Russia’s Northern Fleet informs that both the missile cruiser “Marshal Ustinov” and the nuclear-powered missile battle cruiser “Pyotr Velikiy” are out on mission to conduct firing in the Barents Sea. Although not confirmed that any of two ships will be launching cruise missile(s) in the area northwest of Lofoten Islands, there are no other reports about Russian navy activity in the area. A captain onboard a Norwegian cargo vessel sailing between Svalbard and Tromsø told the news-portal Aldrimer.no that he could see “Pyotr Velikiy” sailing south outside the coast between Hammerfest and Tromsø on Tuesday around noon. The battle cruiser, Russia’s only nuclear-powered surface warship, is armed with a variety of missiles, including anti-ship missiles, surface-to-air missiles, as well as cruise missiles that can hit land-targets. “In the near future, the crew of the cruiser “Pyotr Velikiy” will conduct a series of exercises on anti-submarine and air defense, as well as continue to perform combat training exercises with the use of practical weapons,” another note from the Northern Fleet posted on Russia’s Defense Ministry’s portal reads. 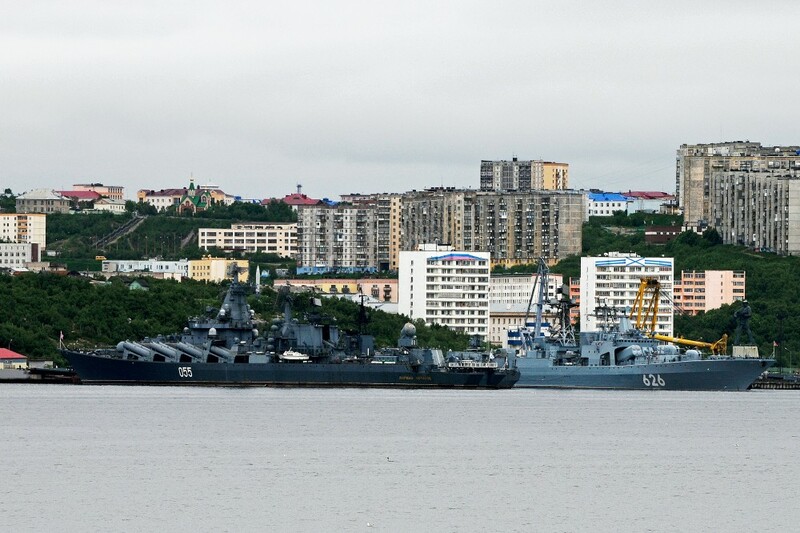 At certain stages of the drill, the crews of the two warships will interact with several nuclear submarines of various types and classes, which are also sailing on combat training, according to the information from the Northern Fleet. Last September, Norway’s former land forces commander and intelligence chief, Lieutenant General Kjell Grandhagen, warned that in case of a bigger conflict it is quite likely that Russian armed forces would initiate a ground operation against Norway’s northernmost region, the Barents Observer reported. “Imagine for a second, that you are the commander of Russia’s northern military district responsible for the defense of Russia’s most valuable assets. You look at the map and you realize that your key bases are located within artillery range from what you would label NATO territory. Could you live with that? Well, I couldn’t,” Grannhagen said in a speech at a army summit in Oslo. He added that a Russian ground operation against Finnmark region consequently must not be excluded. Norway is currently bringing its army back to Finnmark, with a new Ranger Company in Kirkenes at the border to Russia and a reestablished Battalion at Porsangermoen, both parts of the new Finnmark Land Defense. The first 150 new soldiers arrived at Porsangermoen earlier this winter. On Monday, Norway’s Minister of Defense, Frank Bakke-Jensen, visited the Garrison in Porsanger. 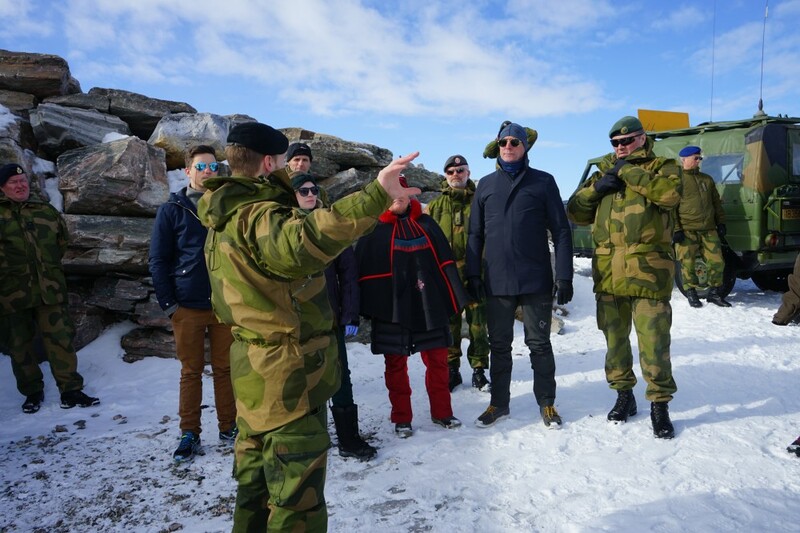 Inspecting the soldiers expertise when exercising combat fighting in the cold snowy landscape, the Defense Minister told the Barents Observer that this is all due to the new security landscape in northern Europe. 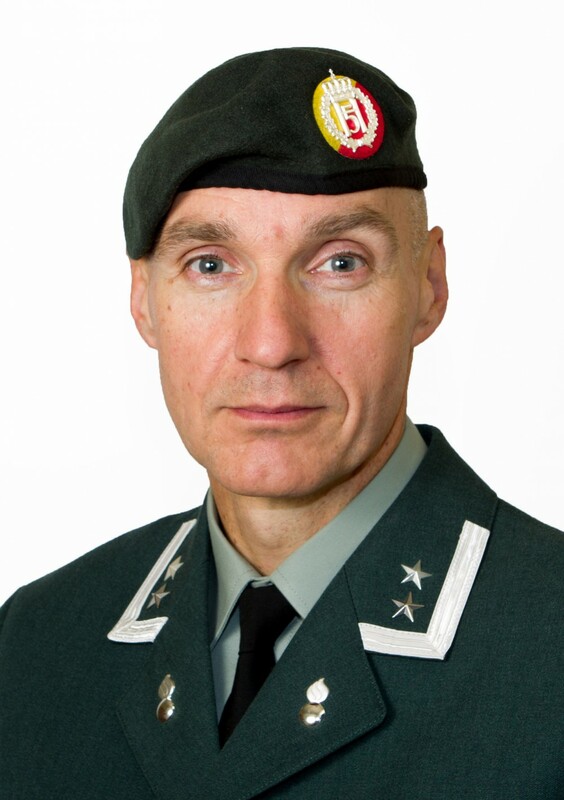 “This will be a substantial strengthening of the army in Finnmark,” Bakke-Jensen said.